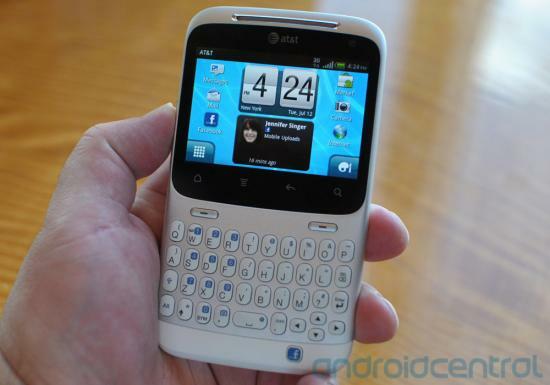 The HTC Status, AT&T's version of the HTC ChaCha, is officially available for purchase today. This device, the first to launch with a dedicated Facebook button is a bit different then many others that we have seen. We have gone hands on with the HTC Status already, and given a full review of the HTC ChaCha, so be sure to take a look at those, and see if this may be your next device. With a full retail price of $399, and an on contract pricing of $49, the device is sure to appeal to many, and if you pick one up be sure to let us know about it in the forums!